Worked as a valuer since 1996 and registered as a qualified professional valuer since 2000. Joined the Group since 2008 and currently mainly in charge of valuation of all types of properties, property consultancy. 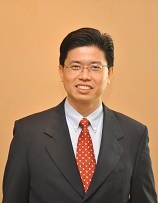 He is the Directorof the Groupâ€™s Subang Jaya Office.